MELBOURNE, Australia — Japan’s homegrown defense industry continues to secure significant amounts of contracts from the U.S. government, but concerns linger over the high level of spending on big-ticket items acquired via the U.S. Foreign Military Sales program, and the outlook for Japan’s push into the global arms market remains cloudy. Figures released by the Japanese Ministry of Defense show that over Japan’s previous fiscal year, which ran from April 1, 2017 to March 31, 2018, the top 10 Japanese defense contractors were awarded contracts worth $7.5 billion, with nine of these making it into Defense News Top 100 list of defense contractors. Two — Mitsubishi Heavy Industries and Kawasaki Heavy Industries — were in the top half of the list. Among ongoing programs in which Japanese companies are participating are new wheeled, self-propelled artillery; armored fighting vehicles; and infantry fighting vehicles for the country’s Ground Self-Defense Force, while its Maritime Self-Defense Force is due to receive more ballistic missile defense-capable destroyers, multipurpose destroyers and submarines. However, with concerns over China’s burgeoning military might and the continued threat of North Korea’s nuclear and ballistic missile programs, there is unease that Japan’s increasing reliance on the FMS program for big-ticket defense articles, such as the Lockheed Martin F-35 Joint Strike Fighter and ballistic missile defense-related systems, will reduce the share of the defense budget available for homegrown companies. According to Defense Ministry figures, Japan’s spending on FMS purchases has climbed more than tenfold from $390 million in fiscal 2011 to a record high of $4.4 billion in fiscal 2016, although that figure is expected to drop slightly to $3.6 billion in the current fiscal year, according to the ministry. 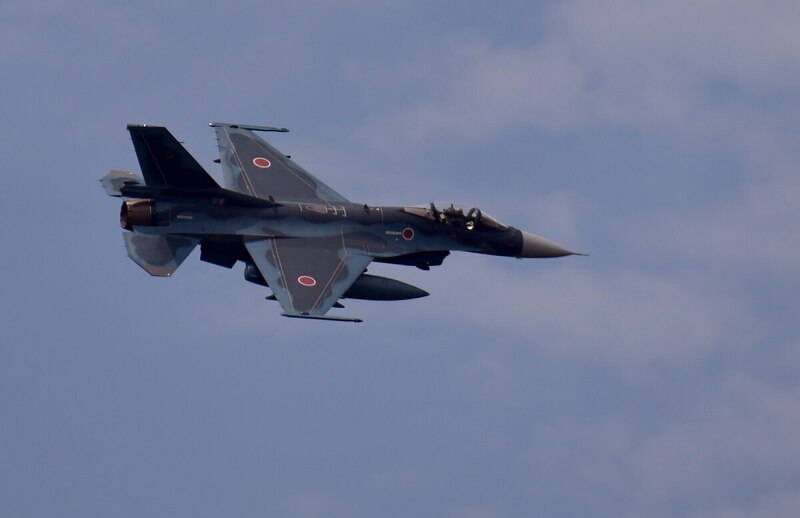 The increasing spending on FMS has put pressure on Japan’s policy of building up its domestic defense industry to attain a level of autonomy in meeting its defense needs. The policy has been in place since the 1970s, and yet FMS acquisitions typically have minimal local industry participation. This policy of autonomy has seen Japanese industry build all of the Japan Maritime Self-Defense Force’s ships in service today, and until recently the country was able to build its own fighter aircraft, although that run ended when production of the Mitsubishi F-2, which is a heavily modified and enlarged Lockheed Martin F-16 Fighting Falcon, ended in 2011. The Maya is the first of two 27DDG-class destroyers ordered by the Japan Maritime Self-Defense Force. In the long term, however, Japan will need to look at how much autonomy it wants to maintain over its own defense-industrial base, given geopolitical and industrial realities, according to Corey Wallace, an Einstein postdoctoral fellow in the Graduate School of East Asian Studies at Freie Universitat in Berlin, Germany. He said the best approach for Japan is for domestic industry to “be better integrated into any foreign purchase programs” and to accept cross-national cooperation in the development of certain systems, in effect being selective in the amount of industrial autonomy Japanese companies retain. One of the hurdles affecting Japan’s drive toward industrial autonomy is the cost of acquisition and sustainment of indigenous products, which is higher due to Japan’s small, niche defense market and its unique requirements. For example, Bloomberg reported that the country’s Finance Ministry had recommended abandoning production of the Mitsubishi C-2 airlifter in favor of buying the Lockheed C-130J Hercules, which costs half of its Japanese counterpart and is better able to operate from semi-developed airfields, although it carries less cargo and operates at slower speeds. Still, the Japanese government is keen to support its industrial base. For example, Mitsui and Japan Marine United Corporation managing to secure contracts to build part of eight multipurpose destroyers, despite both companies losing the overall contract to Mitsubishi Heavy Industries. The government of Japanese Prime Minister Shinzo Abe has also relaxed laws regarding Japanese defense exports, making it easier for Japanese companies to sell defense articles overseas. However, some restrictions remain over which countries Japanese companies can sell to, and Japan has yet to conclude a successful defense export sale since the laws were relaxed in 2014. This is partly due to Japanese defense companies' lack of experience with the global arms market, which, combine with associated costs, has meant Japanese companies struggle to market their products against more savvy Western firms and are unable to compete on price for more budget-conscious potential customers.